Neem oil is a natural cure for all your scalp and hair problems. Neem oil is extracted from the seeds and the fruits of the neem tree, a large evergreen tree native to India and Southeast Asia. Neem oil has been used for centuries in traditional Indian medicine as a treatment for various skin and scalp conditions. Neem oil is also used in traditional Ayurvedic remedies as an antiseptic to fight viruses and bacteria. It removes toxins from the body, purifies the blood and neutralizes damaging free radicals. It is known to be especially nourishing for the hair. The neem tree has been shown to have anti-inflammatory, anti-fungal and antibacterial properties. Every part of the tree can be used for medicinal purposes, including the leaves, fruit, seeds, bark, gum and oils. The oil has the highest amount of the substance called azadirachtin, which gives the tree its anti-fungal and pesticide properties. As a result, neem oil is a fantastic and effective treatment for many ailments related to your hair. Read on to discover the many benefits this wonderful oil has to offer! Neem oil has countless benefits for the hair and scalp, including relief from a dry, itchy scalp and dandruff, as well as giving you silky, shiny, strong hair. Healthy scalp: Excess sebum (oil) production can cause thinning hair and hair loss by clogging the pores of the scalp. This can also cause inflammation of the scalp, leading to damage of your roots. Neem oil helps to treat these conditions by cleansing the scalp and stimulating blood flow to the skin. It also helps to nourish the scalp and the roots of your hair. Because of its anti-inflammatory and anti-fungal properties, neem oil can help to improve the condition of your scalp. Neem oil also contains a high concentration of fatty acids, which also help to nourish the scalp. 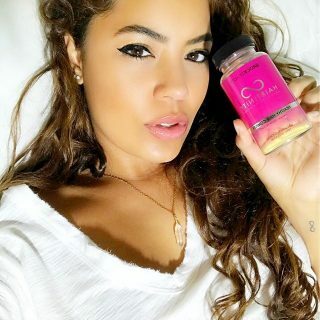 Healthy hair: When applied on a regular basis, neem oil can result in healthier hair as it is rich in nourishing essential fatty acids and antioxidants for protection and prevention of damage. 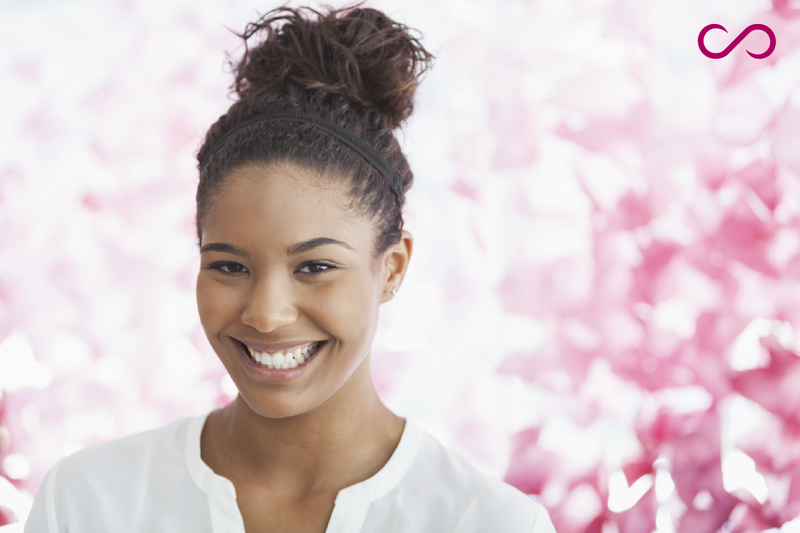 In addition to using natural oils on your hair you might want to add a vitamin supplement to your hair. 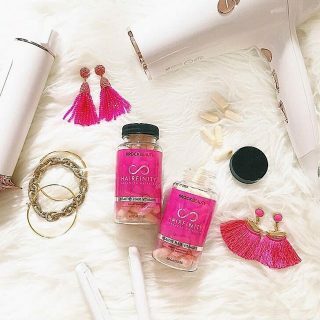 Hairfinity hair vitamins are a great way to improve your hair’s vitality. Dandruff: Neem oil is a natural cure for dandruff and dry scalp. It is effective against several human fungi including candida, which is known as a major cause of dandruff. Many dandruff shampoos contain neem oil. Regular use of the oil can prevent dandruff from forming as it helps to maintain scalp health and PH level. Frizzy hair: Neem oil can be used as a conditioning agent for rough and frizzy hair. Using neem oil will help to add shine to the hair and will help to rehydrate parched strands. Add a few drops of neem oil to your shampoo, apply to your hair and leave on for 3-5 minutes. Once hair is rinsed and dried, it will appear shinier and healthier. Head lice: Neem oil can be used as a safe and natural alternative to get rid of head lice. Neem oil contains azadirachtin, an insecticidal ingredient, which disrupts the growth and reproduction of lice. The pungent odor of neem oil is strongly disliked by lice, and will keep them from crawling onto your head and hair, thus working as a preventative treatment. Leaving the neem oil on the hair overnight will help to kill off any lice. The lice can then be removed in the morning using a nit comb. Repeat this treatment five to six times, on alternate days, using neem oil until lice have disappeared. Promotes hair growth: Neem oil is known for its ability to increase hair growth due to its high level of anti-oxidants. Neem oil protects the scalp from damage caused by free radicals. It also has regenerative properties, which help keep your scalp in good health – a necessity for healthy hair. It can be used to counter the effects of hair thinning due to stress, medication and environmental toxins. Regular application of neem oil will strengthen hair from the roots, increase blood circulation and encourage hair growth. 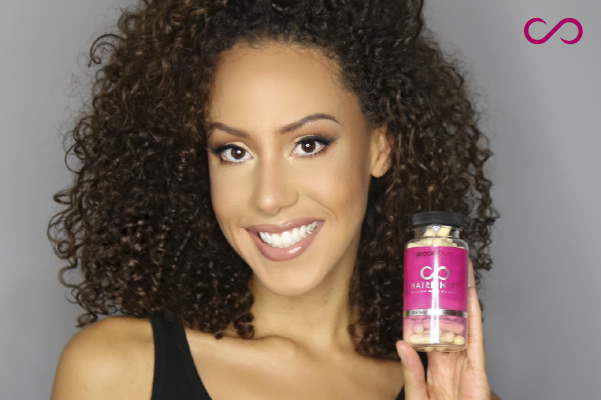 Hairfinity hair vitamins are a great source of the nutrients that you need to grow longer, stronger, healthier hair. Split ends: Neem oil is known for its ability to add moisture to the hair thus helping to repair damaged cuticles. 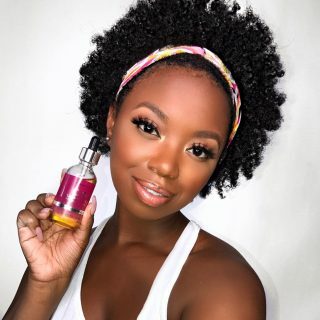 Mix a few drops of neem oil with one of your favorite carrier oils (such as coconut, jojoba, olive or almond) and apply the mixture to your hair and scalp. Leave it on your hair for a few hours, then rinse it out with a mild shampoo. Eczema: Eczema is a skin condition characterized by a dry, red, itchy, flaking skin and scalp. The anti-inflammatory substances in neem oil act similar to non-steroidal drugs and help to reduce the redness and irritation caused by eczema. Neem oil is rich in fatty acids and glycerides that easily penetrate the outer layers of the skin thus helping to restore the protective barrier and helping to prevent moisture loss. Neem is also a strong analgesic (pain killer) and will bring relief from the discomfort of dry, itchy skin. Dry, undernourished skin: Because of the fatty acids in neem oil, it can be used a conditioning treatment for both scalp and hair. 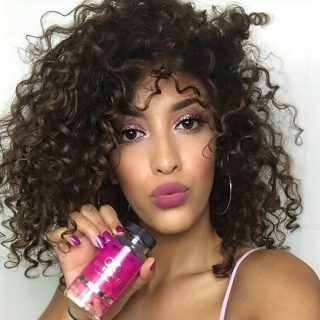 Its moisturizing effects revitalize and restore dry, undernourished or rough hair, bringing hair back to a smooth and silky texture. Premature graying of the hair: Regular application of neem oil can reduce overall graying of the hair, while also helping to relieve skin infections. If your hair is going gray as a result of hormonal imbalances or other hair problems, then neem oil may be able to help. However, neem oil will not be able to reverse hair that is going gray due to age. Why use neem oil for hair? Neem is a multipurpose herb and has exceptional medicinal properties, making it a favorite for curing and healing numerous ailments. Neem oil is full of antibacterial, antifungal and anti-inflammatory properties as well as fatty acids and vitamin E. It is a great natural alternative to hair treatments filled with harmful chemicals. Neem oil is readily available at most health food stores or drugstores and is relatively inexpensive to purchase. Neem oil in shampoo: Add neem oil to your daily hair care routine. To add neem oil to your shampoo, make sure you start with a simple, gentle shampoo. This could be a baby shampoo or a gentle natural shampoo. 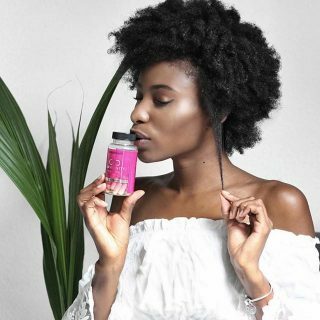 Try the HAIRFINITY Haircare it has an aloe vera base and has no sulfates or other harsh chemical. . Use 1-5 ml of neem oil for every 100 ml of shampoo. The amount of neem oil you use can be adjusted based on the intended use. For everyday use, a lower concentration of neem oil will suffice. If you are battling a skin disorder or dandruff, you will want to use a stronger concentration. 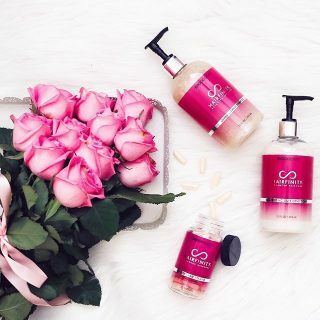 Only mix a small batch of shampoo at a time, ideally only as much as you want to use – the mixture will not keep for long periods of time. 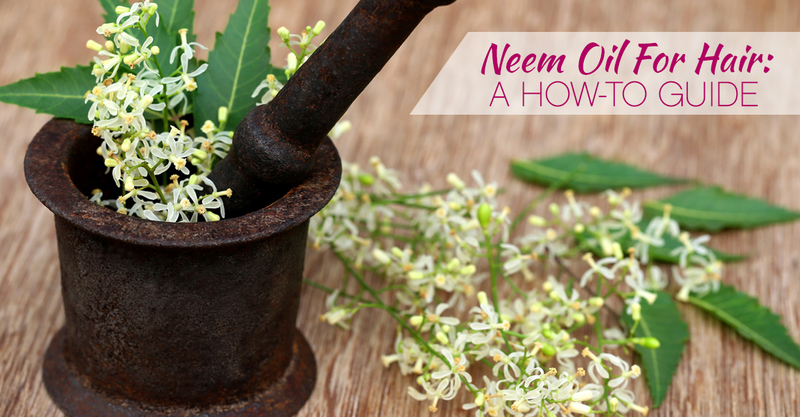 The neem oil can be kept in a small bottle in your bathroom. In the shower, mix some oil and shampoo into your hand. Apply it to your hair, from roots to ends. If you wash your hair daily, only use a small amount of neem oil each time. Deep conditioning treatment: For a deep conditioning treatment, massage the neem oil directly onto your scalp and hair with your fingertips. Cover your hair with a hot towel (hot enough that it is tolerable) and leave on the hair for 20 minutes or so. This will allow the neem oil to penetrate the hair, leaving your hair more shiny, healthy and manageable. Oil treatment: Neem oil can be mixed with your favorite carrier oil, such as jojoba, coconut or olive oil. Use 2 to 5 ml of neem oil for every 100 ml of oil. The smell of neem oil can be quite strong, so add a few drops of an essential oil, like lavender or sandalwood, to mask the smell. Mix all the ingredients together well and apply to your scalp and hair, massaging gently. Leave it on for an hour or overnight for a more intense treatment. Rinse thoroughly and wash with your favorite shampoo. Neem paste: While it may be more difficult to find, neem powder is another way to reap the benefits of the neem leaf. Dry neem powder can be mixed with water to create a thick paste that can be used to massage the scalp. The grainy paste helps to exfoliate, cleanse and nourish the scalp. Leave the paste on your hair for about 30 minutes before shampooing and rinsing. Hair mask: Neem oil is a great addition to any hair mask to add moisturizing properties and to help remedy a dry and itchy scalp. To make the mask, combine 3 tablespoons coconut oil (at room temperature), 1 tablespoon honey, 3 tablespoons neem oil and 3 tablespoons amla oil. Using your fingers, apply the mask to dry hair from roots to ends and pile hair on top of your head. Drape a towel over your pillow to protect it, or put on a shower cap and leave the mixture on while you sleep. In the morning, wash your hair, making sure to wash thoroughly with shampoo. Repeat once a week for silky, shiny hair. Dandruff treatment: Neem oil is especially effective in treating scalp infections while lemon peel aids in preventing them. Mix neem oil and lemon peel in a bowl and, using fingertips, massage onto scalp, concentrating on the roots. Continue massaging the mixture on your scalp for 10-15 minutes and leave on for another 30 minutes. Rinse the mixture off thoroughly and shampoo with a gentle, herbal shampoo. If the mixture is too strong for your skin, mix with a carrier oil, such as olive, coconut or jojoba oil. For natural hair: Neem oil can be used as a pre-shampoo treatment for natural hair. Mix 1-2 drops of neem oil with coconut oil and massage onto your hair and scalp, leaving the mixture on overnight. Shampoo hair in the morning as usual. Neem oil can also be mixed with shea butter to help a dry, itchy scalp or add moisture to dry ends. Simply mix 1 teaspoon of neem oil with 3 tablespoons shea butter. Combining the two ingredients will leave hair feeling soft and shiny. Store neem oil in a cool, dark place – away from sunlight. Neem oil can easily solidify, even at low room temperatures. If this does happen, put the bottle in warm water to liquefy. Do not place the neem oil near boiling water as it may destroy the properties that make it an effective treatment. Neem oil has a strong smell so it is recommended that you mix a few drops of your favorite essential oil to any mixture to mask the smell. Lavender and lemongrass essential oils both work well. Always dilute neem oil with one of your favorite carrier oils (jojoba, coconut, almond, olive), the portion of neem oil that you use in any mixture should be about 2-5% of the mixture. Be careful with neem oil around your eyes, it can cause irritation. Taking neem oil internally or using it as cooking oil is not recommended. Some people may be sensitive to neem oil. Depending on how the neem oil was processed, there could be traces of other ingredients that may also cause an allergic reaction. Before using neem oil, do a patch test first to make sure it doesn’t cause a reaction for you. Discontinue use of neem oil if any skin irritation occurs.